Introduced to Digital Fabrication and Rapid Prototyping while completing my Masters in Architecture at Columbia University GSAPP, I refined my skills and understanding of the technology while working at Associated Fabrication. I spent three years with AF, serving as designer, fabrication engineer, shop manager, production manager, fabricator, and installer. This provided me with a uniquely in depth knowledge of digital fabrication projects from design to installation. We specialized in 3 Axis CNC milling and 3D surface thermoforming of corian and other solid surface materials. Landscape Architect: Tom Barratt Ltd.
Our largest Corian thermoforming operation to date at Associated Fabrication. I served as Production Manager, Fabricator, and Installation Administrator. These accessible movement invoking glow in the dark sensuous bus shelters were designed by Pedestrian Studio in collaboration with Associated Fabrication for the 2010 Winter Olympic and Para-Olympics Athlete village in Whistler, BC, Canada. 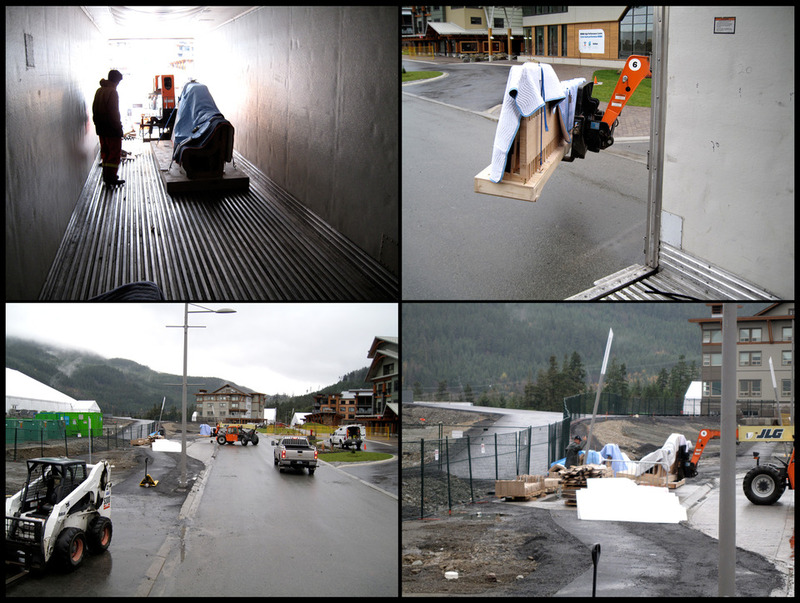 The Village is now a new subdivision of Whistler and the bus shelters will remain as permanent residents. This project required over 30 unique molds to build the complex double curves surface. It pushed the boundaries of what we had accomplished with thermoforming and digital CNC fabrication. Such massive forms require tight tolerances in surface forming and careful attention to detail to maintain the seamless smooth flowing surface.